Damon Braces are a system made from the same materials as traditional orthodontic braces. However, they do not require the use of elastics because they are self-ligating. With the Damon system, the archwire is secured into the bracket slot directly, which means fewer appointments as well as less friction placed on the tooth structure. Two Phase Orthodontics for Children is a specialized orthodontic process that involves two phases of treatment — with the first phase beginning when your child still has remaining primary (baby) teeth, and the adult teeth are beginning to erupt into the mouth. Phase two treatment begins once all of the adult teeth have erupted into the mouth. 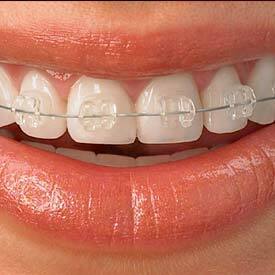 Damon Braces and 3M Braces are often used during the second phase of treatment. To learn more about Damon, please schedule your consultation with Dr. Angela Sharma today! Call us at (403) 262-3235 to book your Damon Braces Consultation with us today!